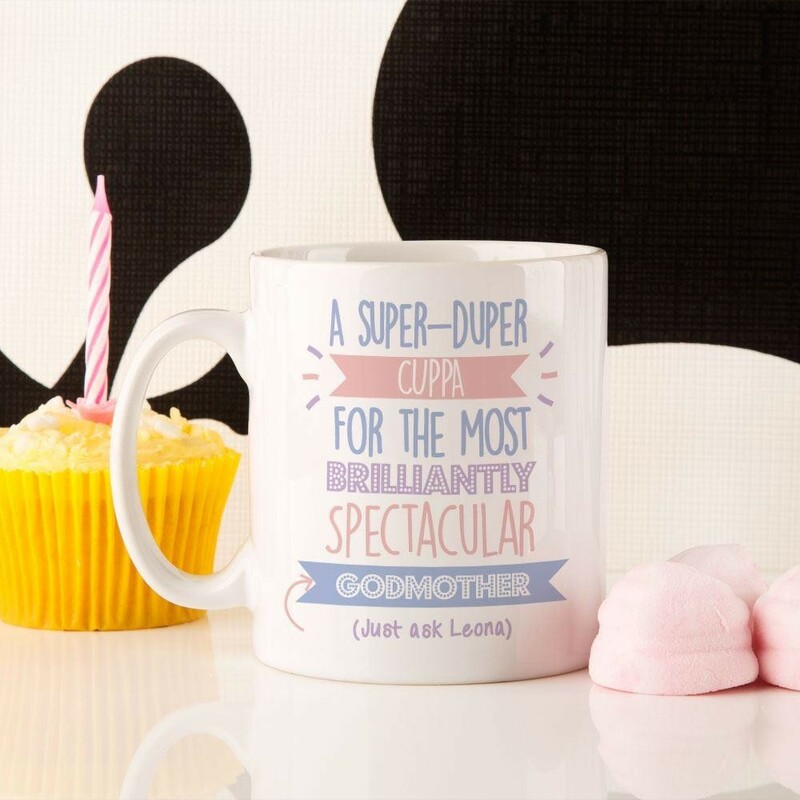 This personalised 'Best Godmother' mug is the perfect gift for your godmother. It is a thoughtful and fun gift that she will be able to use everyday to store her favourite hot or cold drink inside. 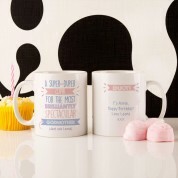 The mug features a fun blue, purple and pink design with the text 'A super-duper cuppa for the most brilliantly spectacular godmother' and the sender's name. The back features 'enjoy' text along with your special personal message to your godmother. We also sell a matching coaster which is ideal for resting your godmother's cuppa on. We sublimate this gift in house so can add the sender's first name and a personal message.